A low carb lifestyle cuts calories by limiting carbohydrates and replacing them with protein-rich foods and some fats for vitamins, minerals, and fiber. Our shakes and powders help you feel fuller for longer, making it easy for you to stay on track with your low carb goals. Net carbs are the carbohydrates in food that you are able to digest, absorb, and then use for energy (like starches and sugars). To calculate net carbs, take a food’s total carbs and subtract fiber and any sugar alcohols. 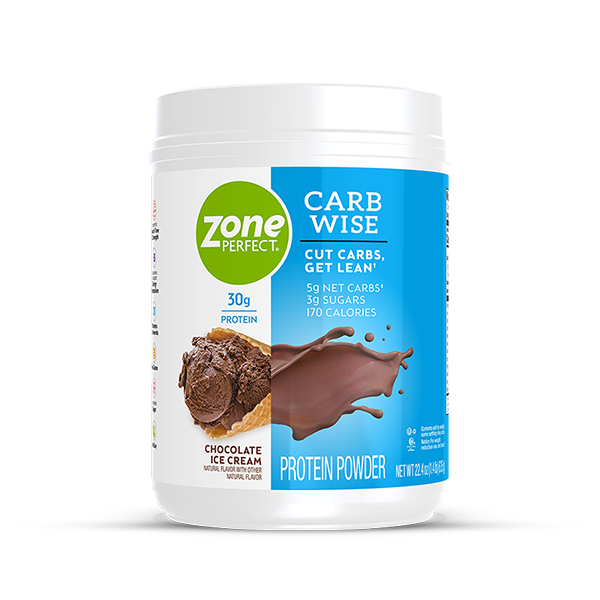 ZonePerfect Carb Wise products are made with 4g net carbs so you can get the nutrition you need without worrying about your carb intake. 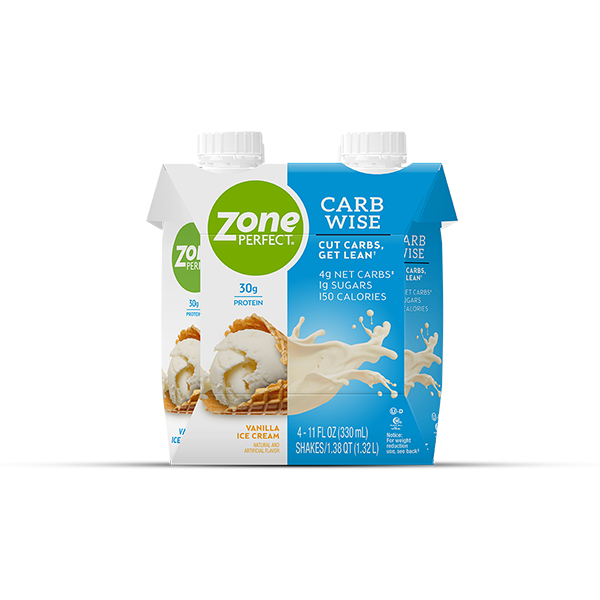 The ZonePerfect Pros crafted our Carb Wise products around a purposeful low carb macros ratio. With an extra dose of protein, this blend helps you fight hunger, gives you consistent energy, and preserves lean body mass so you can live your best low carb life! When you’re working hard to get lean, you need smart nutrition to support your efforts. Our Carb Wise shakes and powders give you the biggest bang for your protein buck without the extra carbs and fat. You already have your go-to sources of carbs; shakes and powders needn’t be one of them! ZonePerfect Carb Wise shakes and powders have just enough carbs for a sprinkle of energy but not enough to derail your day. Protein keeps you fuller, longer while supporting your strength. Zone Perfect Carb Wise powder gives you 2x more! ZonePerfect makes it easier to achieve your low carb goals: 10-20% of calories from carbs, 50% or more of calories from protein, and the remaining percent of calories from fat. *Nutrient content may change based on form and flavor. 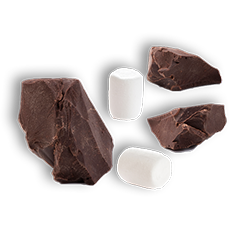 Macros breakdown is an average and based on calories provided by each macronutrient rather than total calories claimed on label. *Atkins is not a registered trademark of Abbott Nutrition.